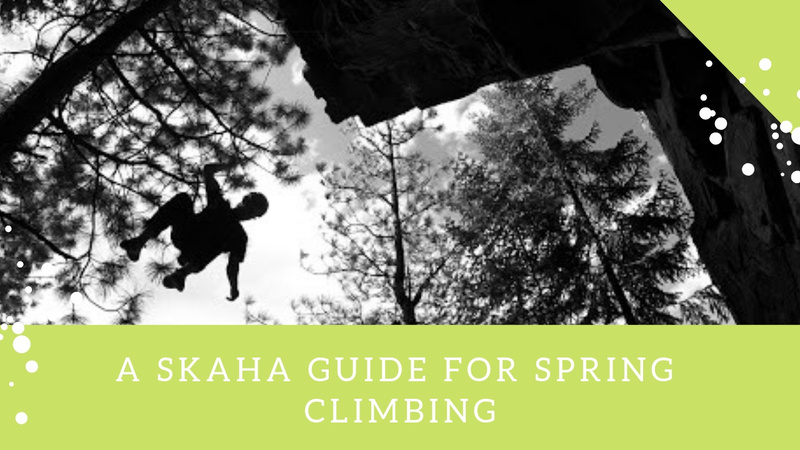 Because this wonderful place known as Skaha Bluffs exists in a desert, the days there are usually warm and dry which makes it a great spot for climbing the early and late season while other areas are still to cold to attend. 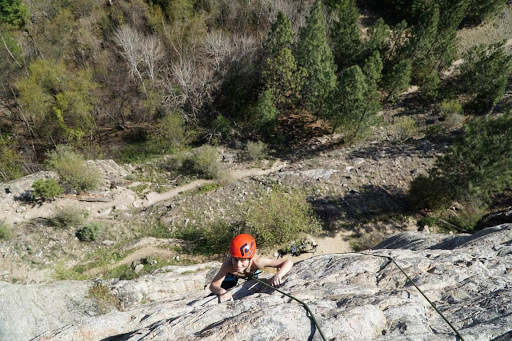 This collection on gneiss bluffs is home to over 50 crags, hundreds of high quality sport climbs, and some classic trad lines. We know you have so many questions, such as where should I camp? Where should I eat? What should I climb? Luckily, we will answer all these questions and more with this little guide to Skaha! 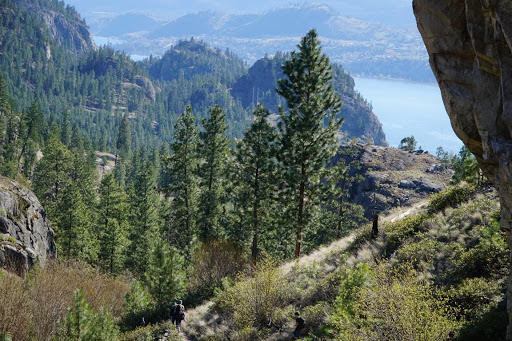 Folks have been exploring the bluffs since the 50’s, but climbing in Skaha didn’t really take off until 1987 when a small group of local climbers started to explore some of the gear protected lines. And in a couple years the first bolts were drilled. 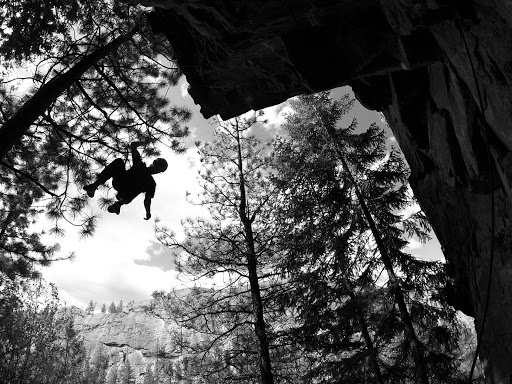 Through the 90’s Skaha quickly became the climbing destination in the BC interior. The folks climbing in the bluffs were no longer all locals. 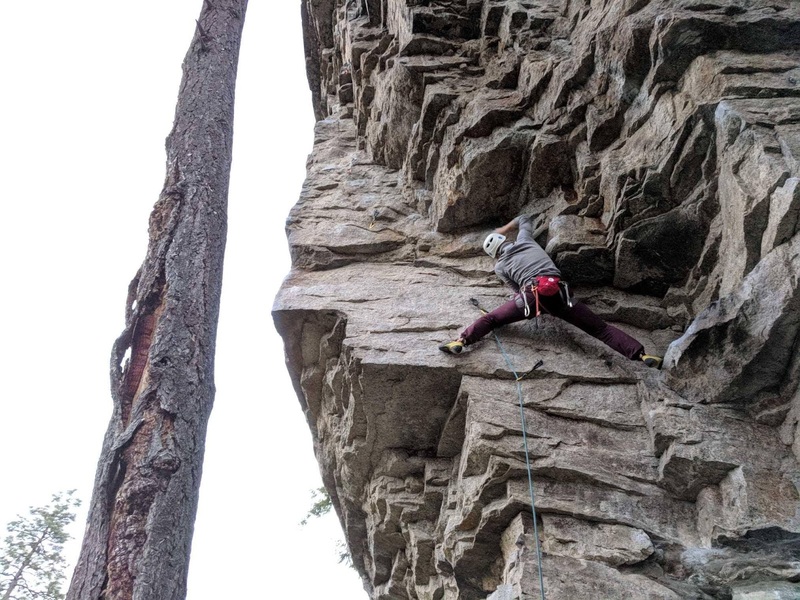 Climbers from Squamish and the Bow Valley took notice of the dry weather and long climbing season of the Okanagan desert, which made it an ideal location for early and late season trips. Through the late 90’s and early 2000’s Skaha started to see lots of new lines in the hard grades, with new routes going into the 13’s. This made Skaha a place where climbers could test themselves against some of the hardest routes in Canada. Access had always been an issue at Skaha, and in 2008 the access road was sold and closed to the public. 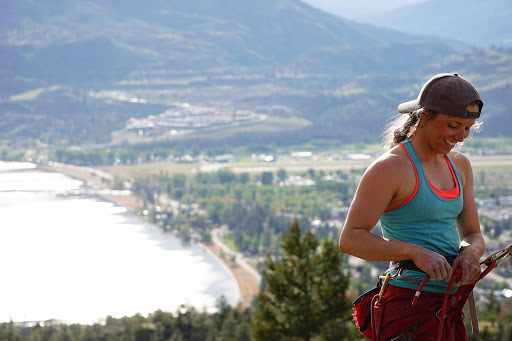 However, the climbing community pulled together and purchased land for a new parking lot, they also convinced private land owners to make the land public to allow the bluffs to be turned into a park. The bluffs were shortly turned into a Provincial Park in 2010, marking an end to the battle for access. The park is open from March 1st to November 15, however these dates can be affected by conditions. Some folks start as early as February but that can be a bit too early depending on how tough you are. Because Skaha is in the desert, it is hot and dry, this means sunny walls in the middle of summer can be a bit too hot sometimes. For this reason it may be better to go in the spring or fall if you want ideal sending temps. It is possible to climb in the summer, the key is to find shady walls during the heat of the day. 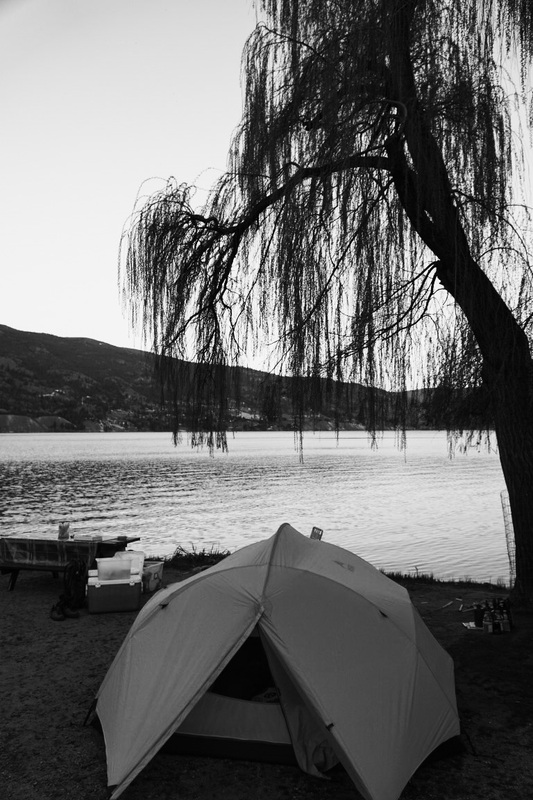 Penticton is home to many hotels for those who don’t want to camp, many of which offer low prices. For those who are more interested in camping, there is a great campsite near Skaha. Banbury Green RV park is on the opposite side of the lake from the bluffs, it offers access to the lake as well as bathrooms and showers, this RV park is a little more expensive but it does offer a rock climbing season rate (check their site for details). There is also the Lake Skaha Tent and Trailer Park right in Penticton, this is closer to the bluffs and you are close to everything in town. Never camp in your car or van on the side of the road, this has been a problem for the city of Penticton, don’t endanger our access to the bluffs to save a couple of bucks. Skaha Bluff is a Provincial Park, which means the parks website will have current info on any closures or warnings. Be sure to watch out for snakes, there is a lot of them. Not all of them are dangerous but its best to be aware. Also keep all dogs on leash and stay on established trails. Don’t park on the access road. Don’t keep anything of value in your car, there have been some break-ins, park watch patrol the lot so be sure to thank them if you see them. In summer the sun is your enemy, plan your day around the walls with shade. Book camping early in spring and fall, those are the busy seasons in the bluffs. Check the board in the parking lot for important info, large groups often leave a note of which crag they will be at so other climbers can dodge the crowds. There is no water in the park, so bring your own and bring lots! The park is also popular with hikers who may not be familiar with climbing systems, so be extra vigilant when throwing your ropes. Watch for snakes! These little buggers sometimes hang out on the trail, so watch your step! Blue Tail Salamanders can be found in the park, they are a pretty cool critter so keep an eye out for them. Consider donating to the Park Watch, they ensure that your car is safe while you climb. Terry's Comfort with Attitude in Penticton makes some DAMN fine breakfast, be sure to stop by there. Finally, if you are going with kids, or if you are a fan of ice cream, you must stop at Ogo's and enjoy their generous ice cream cones! 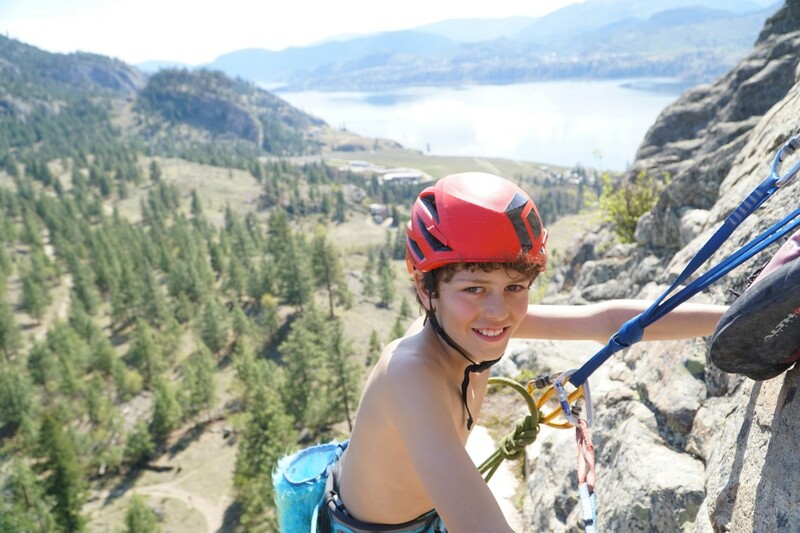 For more information on the Skaha Climbs, be sure to check the Skaha Guidebook and we hope you enjoy your time there!